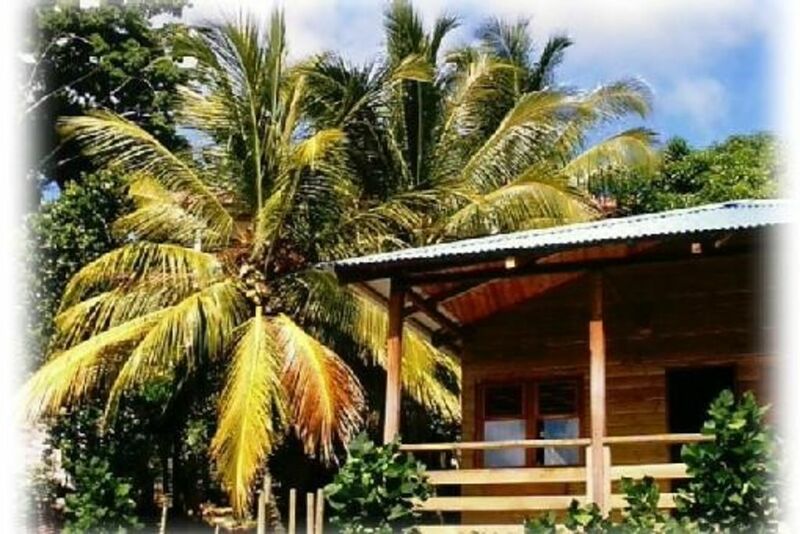 In the heart of a private garden, our fully equipped and functional bungalow awaits you. It can accommodate up to 4 people. At your request, we can welcome you at the airport. If you rent a car upon arrival, you will find on our personal website a detailed itinerary to the bungalow. The bathroom and toilet are separated. The terrace is pleasantly ventilated and has hammock chairs where you will enjoy a nap according to his gentle rocking and singing birds. Logement simple mais très bien,confortable,bien agencé. Jardin agréable,arbres fruitiés présentés par le propriétaire qui nous en a fait goûter. Located in Francis, Jorice residence offers the quiet of the countryside a few miles from the town of Francis. Joint South Atlantic, our common home in the bay, several islets whose flora and fauna are protected. This is where there is the "Josephine Bath". The dwelling Clement, another of our rich cultural heritage, hosted in March 1991, Presidents Bush Senior and Mitterrand at a summit following the Gulf War. The gardens are beautiful, dominated by trees. Le tarif indiqué est valable pour 1 à 2 personnes. Comptez 50€ la semaine par personne supplémentaire (30€ pour les enfants de moins de 12 ans). Dégressif selon durée : dès la deuxième semaine. Si vous ne souhaitez pas ou n'avez pas le temps de faire le ménage de fin de séjour, les frais de ménage seront à 40€. Le séjour minimum est de 3 nuits au tarif de 125€.